A decades-old treaty that mandates how Mexico and the U.S. share water from rivers is once again the genesis of growing frustrations from U.S. landowners and lawmakers. 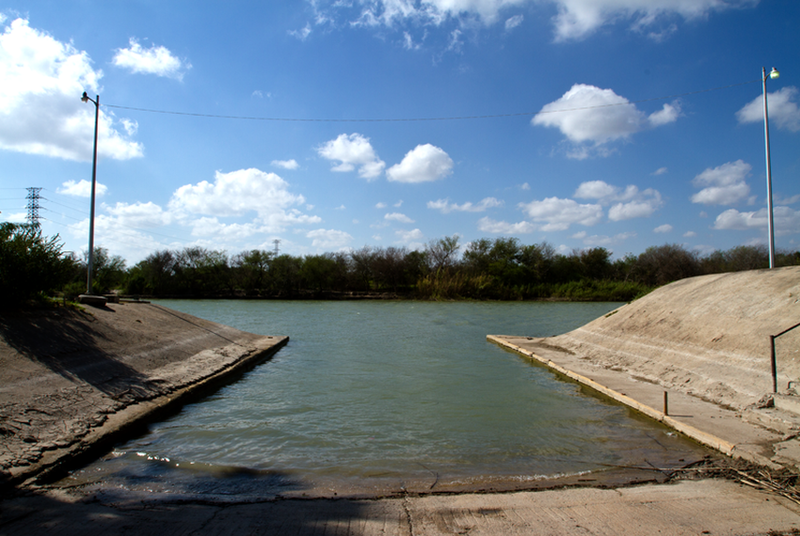 Sounding the alarm over a 70-year-old treaty that governs the release of water to Texas by Mexican officials, state and federal lawmakers say that Mexico is again falling short on its part of the agreement and that water users in the Rio Grande basin are feeling the impact. Technically, Mexico is in compliance and has two more years to release the amount covered in the treaty. Lawmakers and stakeholders, limited in what they can do to compel the Mexicans to deliver the water, are turning to the agency tasked with enforcing the treaty to step up its efforts to ensure the required total is delivered. Ideally for the U.S., Mexico would deliver an average annual amount of 350,000 acre-feet, but lawmakers say it is more than 350,000 acre-feet behind such a pace in the current five-year cycle, which began in October 2010. In the middle of a continued drought, the lag in delivery has prompted U.S. Sen. John Cornyn, R-Texas, to ask the U.S. office of the International Boundary and Water Commission, a binational agency responsible for enforcing water and boundary treaties, to urge the Mexicans to fulfill their debt. This is not the first time the U.S. has raised concerns about how Mexico has handled its responsibilities under the treaty. Cornyn said that during a period from 1992 to 2002, Mexico’s debt reached as high as 1.5 million acre-feet, and it was not repaid until 2005. Farmers in the area lost hundreds of millions of dollars, he added. Officials at the IBWC said it is aware of the situation and working with Mexican counterparts to resolve the issue. There have been 17 “60-day” letters mailed by local irrigation districts to municipalities in Hidalgo and Cameron counties, warning officials that their irrigation water supplies could be tapped out this spring. It doesn’t mean, however, that the municipalities will necessarily run dry. Water for domestic, municipal and industrial uses is transported to the region's cities by "riding" with irrigation water, so options to transport this water will have to be explored if levels run too low, said Andrea Morrow, a spokeswoman with the Texas Commission on Environmental Quality. One of those options includes purchasing the “push” water from a different source. Lucio has filed House Concurrent Resolution 55, urging the U.S. State Department and the IBWC to urge Mexico to reconcile its debt. “I recognize that drought knows no political boundaries and our friends in Mexico suffer just as we do; however, Mexico has an obligation to deliver" the water that belongs to the state, Lucio said in a statement after filing the measure, which has been referred to the House Committee on Intergovernmental Affairs and Trade. Despite the IBWC's optimism about discussions with Mexico, Cornyn still expressed concerns about major breakthroughs coming soon. He didn’t offer specifics on what carrots or sticks might be used. While not saying that the treaty should be changed, Lucio did say that he saw little from the Mexicans to show they were going to make good on the current delivery schedule. Spener said that neither the U.S. nor Mexican government is exploring treaty amendments. But she said that changes to the current treaty are possible through the recording of official minutes, which must be approved by both governments. There are more than 300 recorded minutes, which govern issues like dam construction, funding, operations and other treaty implementations. “The minute mechanism is a mechanism that we have used in the past to deal with deficits and other issues that arise, so it does give us the ability to work with the treaty to address contemporary needs,” she said. There is also the chance that heavy rainfall could occur and cancel out the debt. Spener said that a provision of the treaty states that when the U.S. capacity in lakes Amistad and Falcon, the two international reservoirs, fills, the cycle ends. Obligations are then canceled and a new five-year cycle begins. She added, however, that it’s not expected to happen soon.